Yellow straw color. 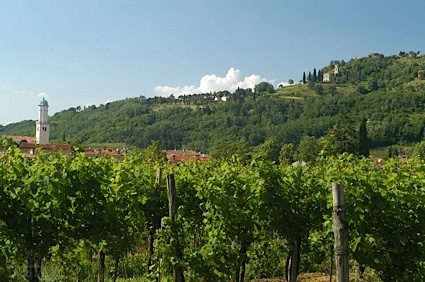 Aromas of fresh pear, underripe stone fruits, and tinned pineapple with a satiny, bright, off-dry light-to-medium body and a smooth, breezy butter, chamomile, dried apple, and fleur de sel finish with no oak flavor. A silky, buttery chardonnay that will hit the spot for fans of the style. Bottom Line: A silky, buttery chardonnay that will hit the spot for fans of the style. 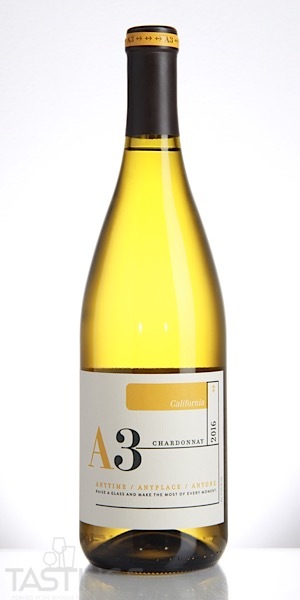 A3 2016 Chardonnay, California rating was calculated by tastings.com to be 87 points out of 100 on 9/12/2018. Please note that MSRP may have changed since the date of our review.